What makes a PLC different from a typical computer? 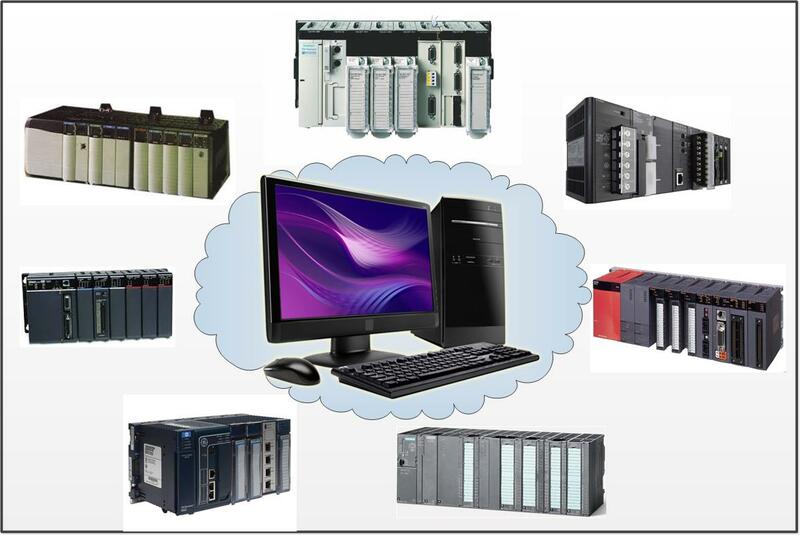 After all, computers are used to control things, they can even run a software PLC. This short video is part of the introduction to a new training course I am producing on the Thinkific LMS. It also follows the text on page 6 of my new training manual, PLC Hardware and Programming: Multi Platform. Text is reproduced after the video. So exactly what is a PLC? It has Physical I/O; electrical inputs and outputs bring real world information into the system and control real world devices based on that information. If you were a PLC, your inputs can be thought of as “senses” like vision and touch, while your outputs could be thought of as your arms and legs. It is often Modular; it can have I/O modules, communication modules or other special purpose modules added to it for expansion. PLCs may also take the form of a computer or a small single module. It is programmed using several defined Languages. Some languages allow the program to be changed while the machine or system being controlled is still running. It is Rugged and designed for use in industrial environments. Unlike computers, PLCs are made to run 24 hours a day, 7 days a week and are able to resist harsh physical and electrical environments. Where are PLCs used? PLCs are used for many different kinds of applications and industries. In a 2012 Control Engineering magazine poll, 87% of machine control applications used a PLC as the control platform. This includes assembly, packaging and other manufacturing operations. 58% of process control applications used PLCs, in such industries as chemical processing and the oil and gas industry. Power plants and wastewater treatment also fall into this category. 40% of motion control and robotics, 26% of batch control and 18% of diagnostic or testing applications used PLCs. Many applications are a combination of these. PLCs are used anywhere, and everywhere! Did I leave anything out? Can you think of other differences between typical computers and PLCs? How about other places where PLCs are used? Leave your comments below! ‹ So… What Do You Do? Perhaps you can highlight how PLCs are dedicated control devices and that the predominant control language is ladder (thanks to Gould Modicon)since this is the easiest conceptual language for engineers/tech to use for programming and diagnostics. Feel free to use any part or all of my Intro to PLCs. Link below. As an engineer at Square D UK, I was involved in both development and applications of PLCs. In applications, one of the first “headaches” I faced was what we called “relay conversion” projects. This involved taking existing relay systems (illustrated by “ladder diagrams”) and converting them into “boolean logic”. The major practical issue was that PLCs (or, indeed, hard wired logic – as in Square D’s NORPAK) do not operate in the same way as relays, despite the fact that the “logic” appears the same. Relays, being mechanical, have significant pull-in and drop-out delays. This meant that sometimes it was prudent to use normally-open and sometimes normally-closed contacts. Many times, really designs actually only worked because they relied on the different time-delays of contacts opening and closing (although I very much doubt that the designers knew this). This meant that, often, a straight relay to logic conversion was not possible. The solution was often to introduce “redundancy” into the logic to avoid “glitches”. That “ladder” continued to be the predominant format for programming PLCs is exclusively to do with “visualisation” of the logic and should not be confused with the “practicality” of relay design. Just a few thoughts from an ageing engineer!